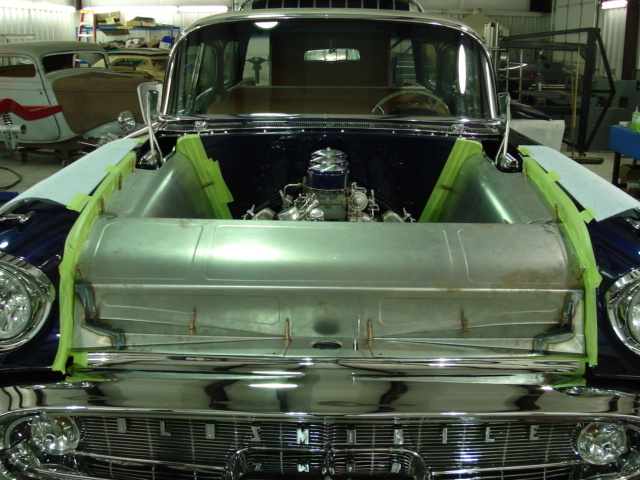 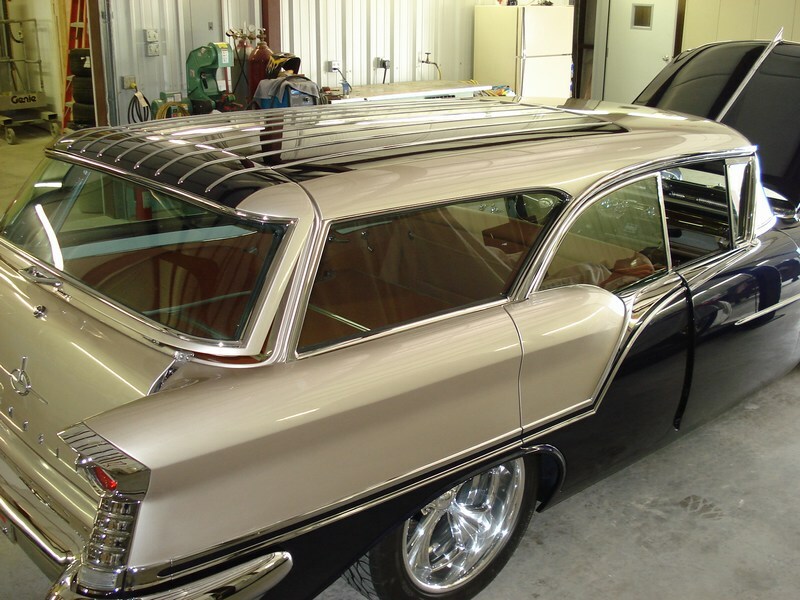 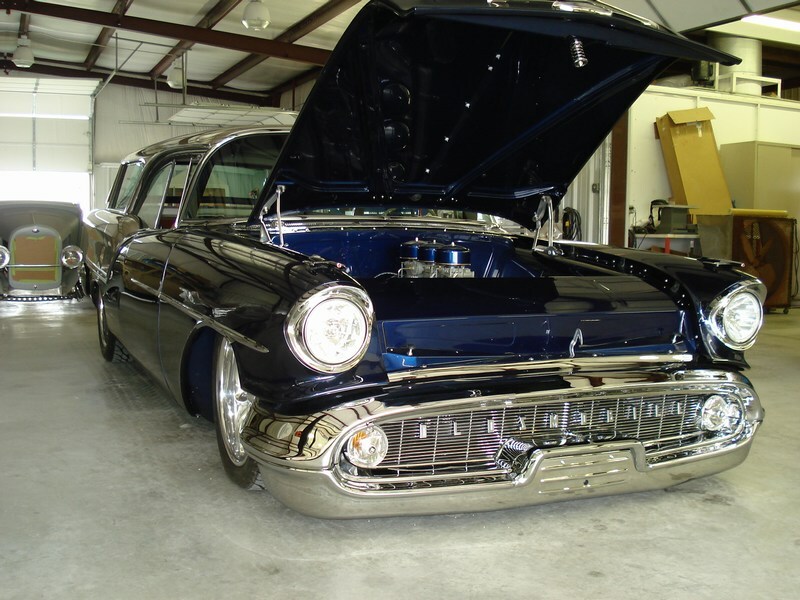 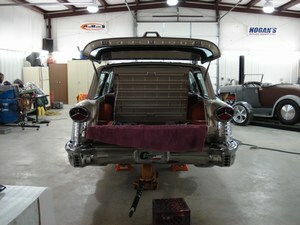 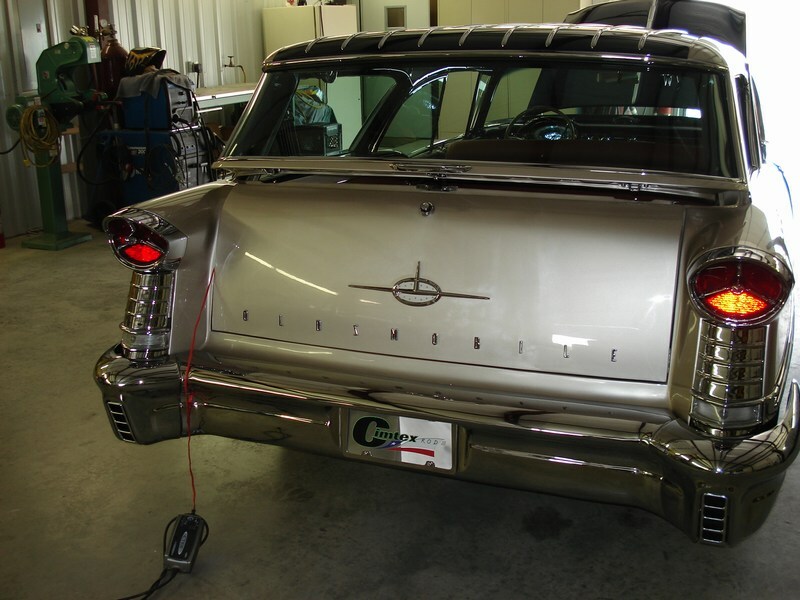 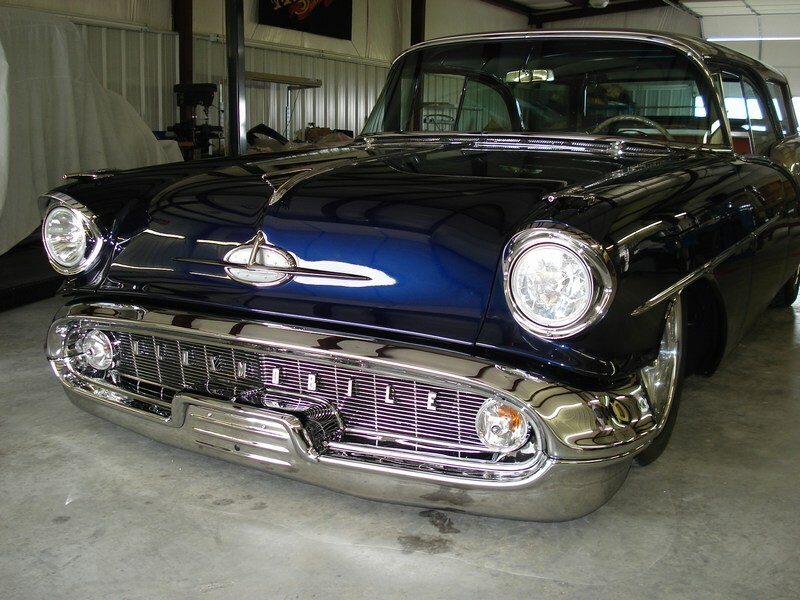 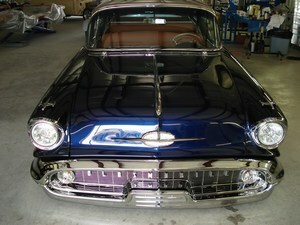 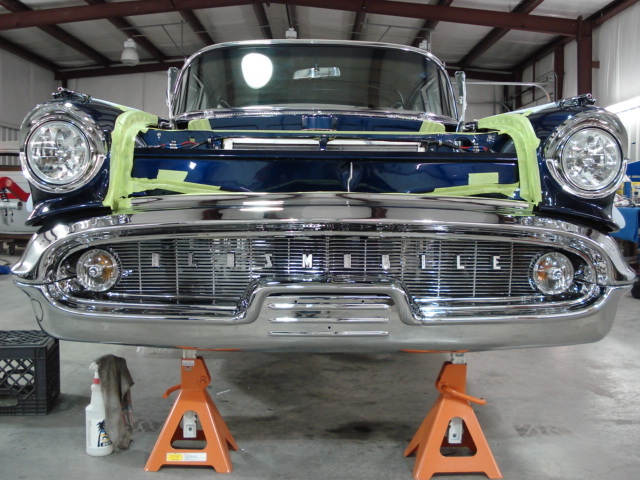 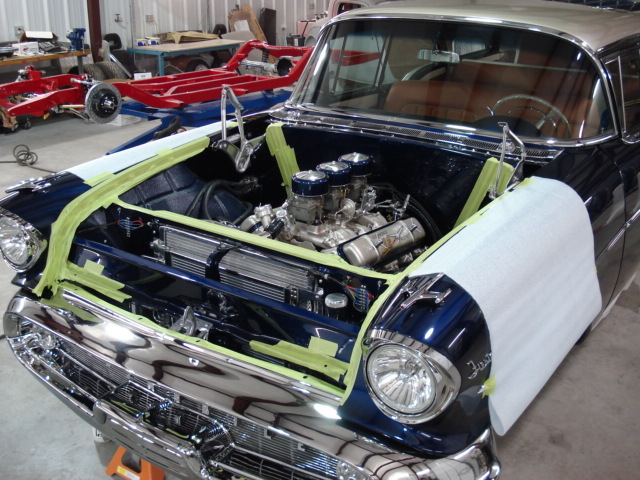 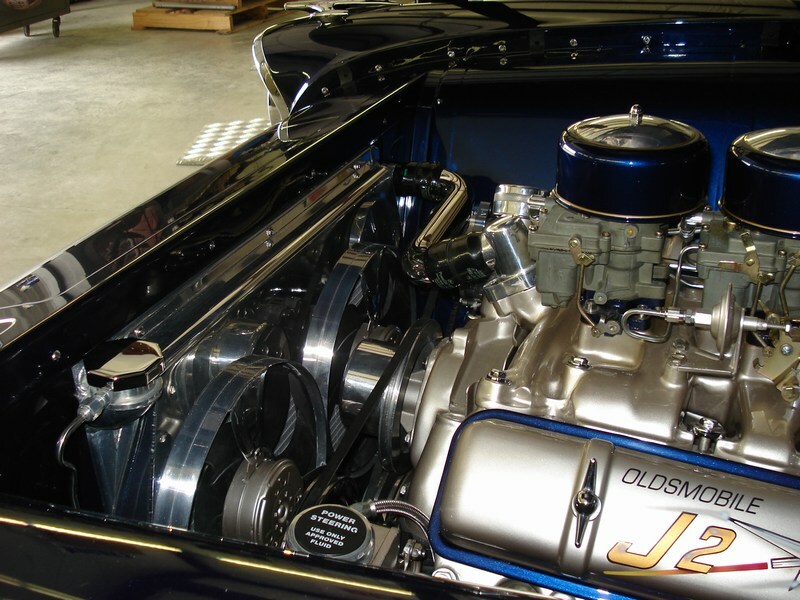 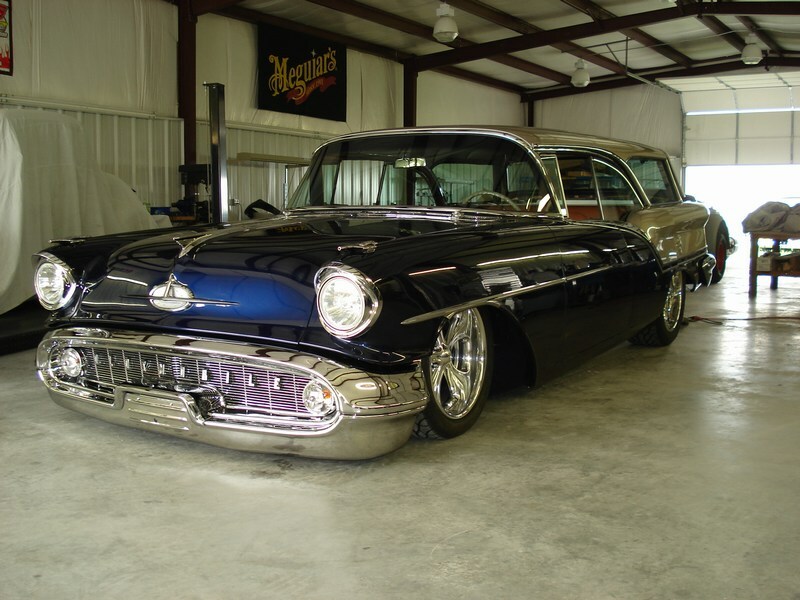 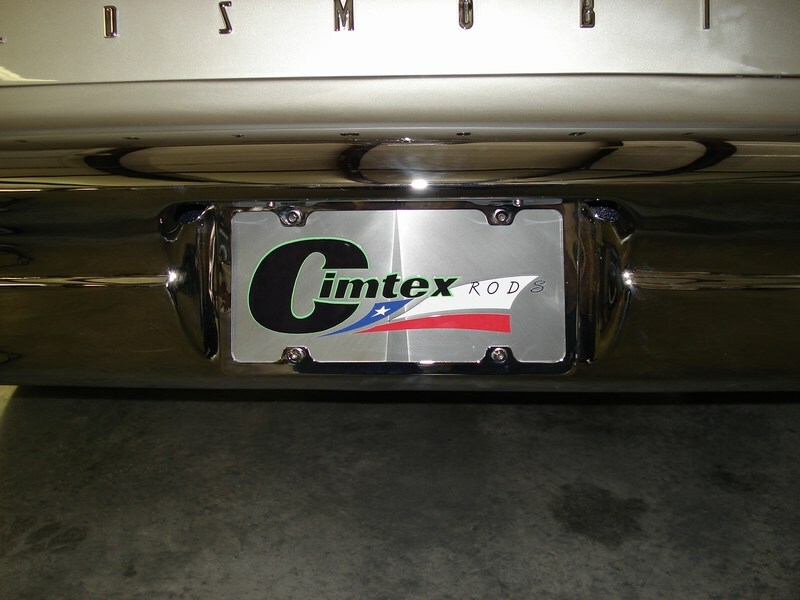 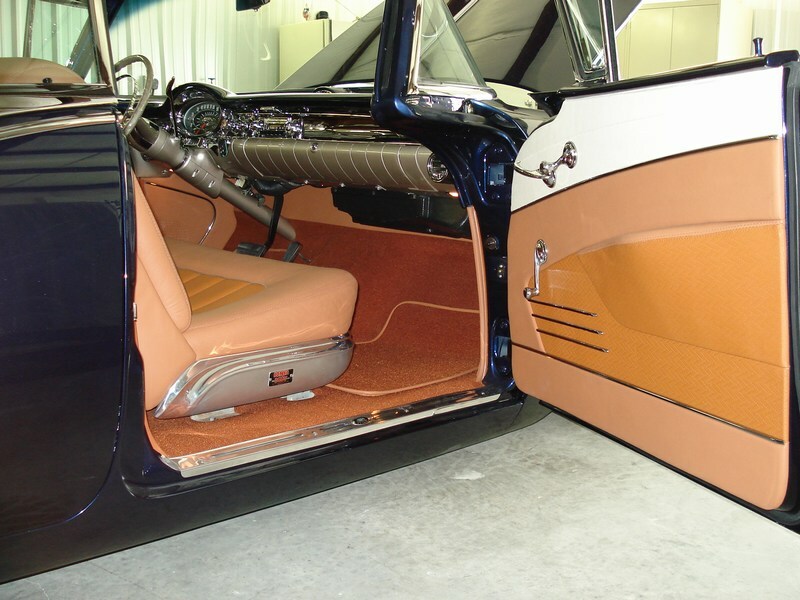 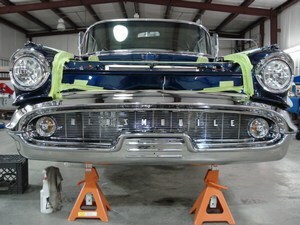 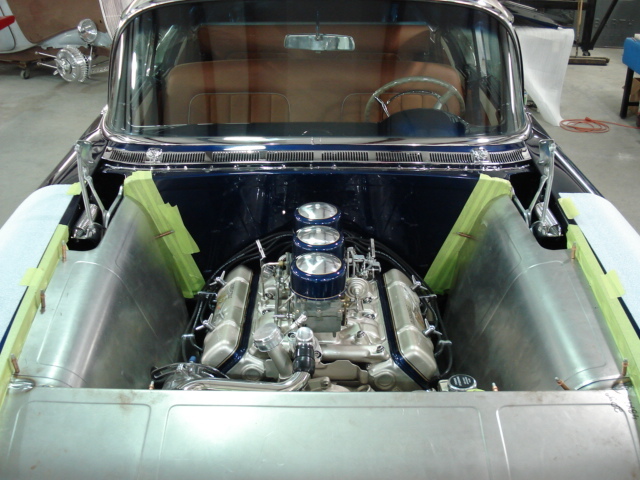 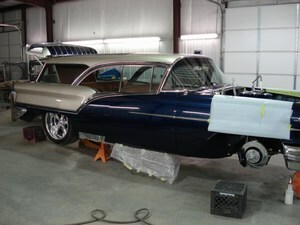 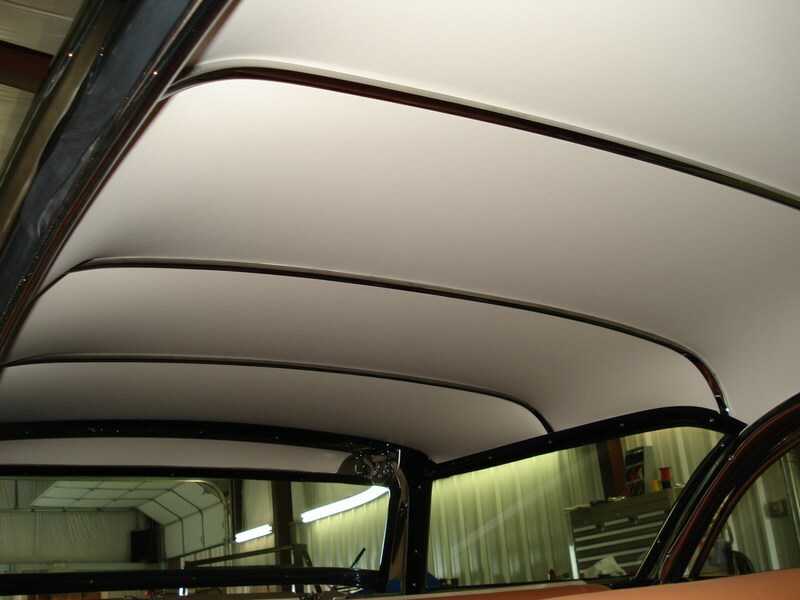 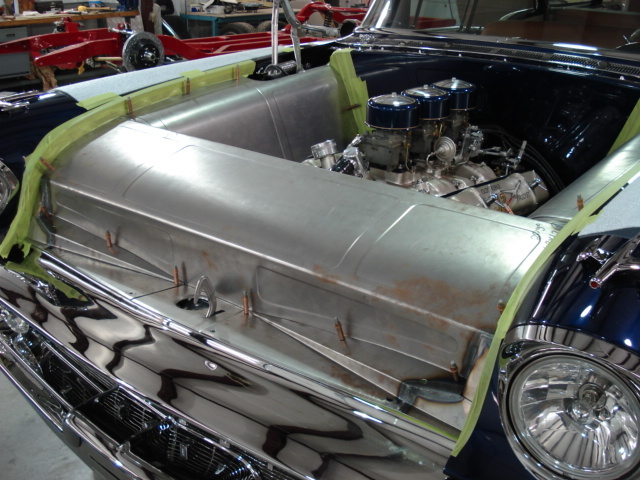 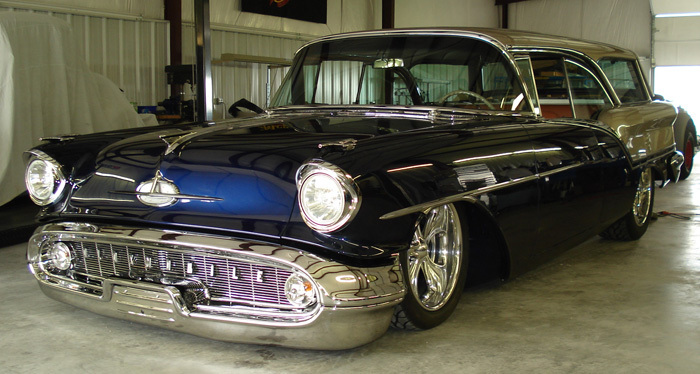 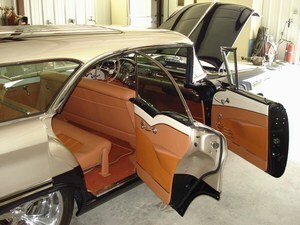 Bruce Ricks of Sapulpa, Oklahoma, had Tim and Darrell Cimbanin of Cimtex Rods build this amazing '57 Olds Wagon. 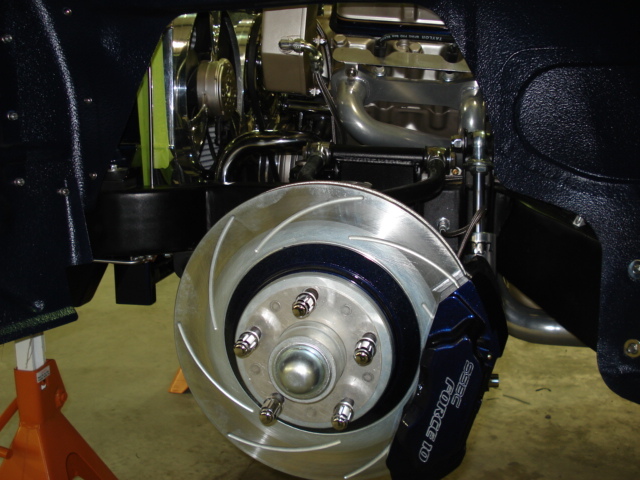 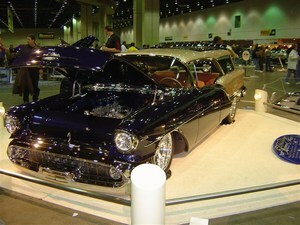 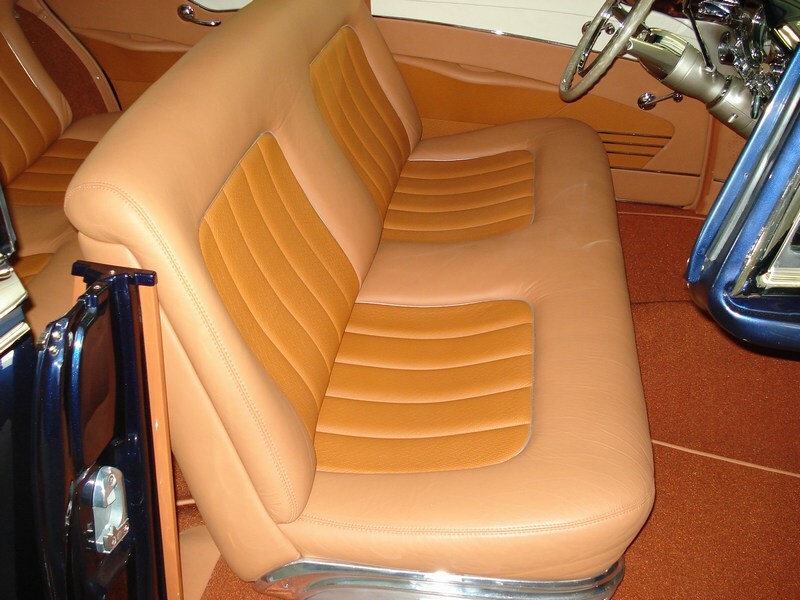 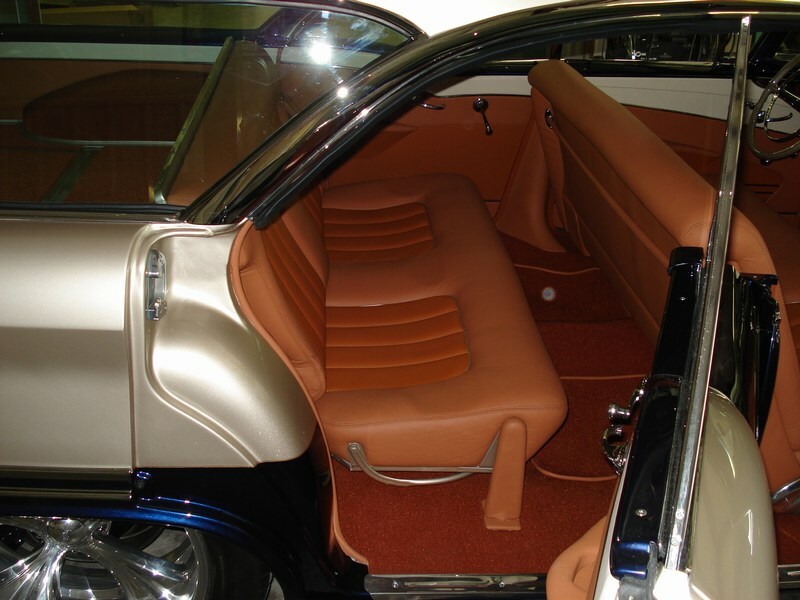 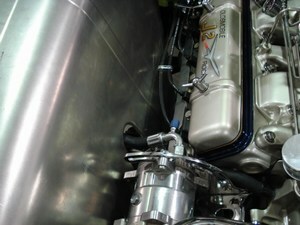 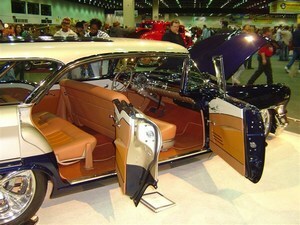 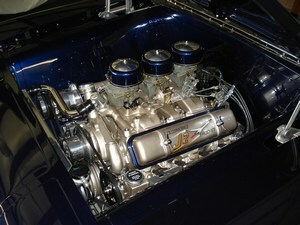 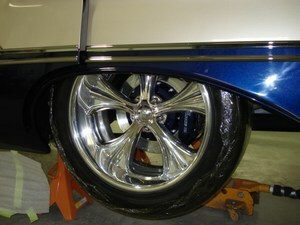 The car was debuted at 2007 Detroit Autorama, where it won the ISCA Custom Station Wagon class, ISCA Best Interior, General Motors Performance Parts Award of Excellence, and Cowtown Cruisers (Host Club) Memorial Award "Cruiser of the Year"
All fabrication, paint, and assembly was done by Cimtex Rods. 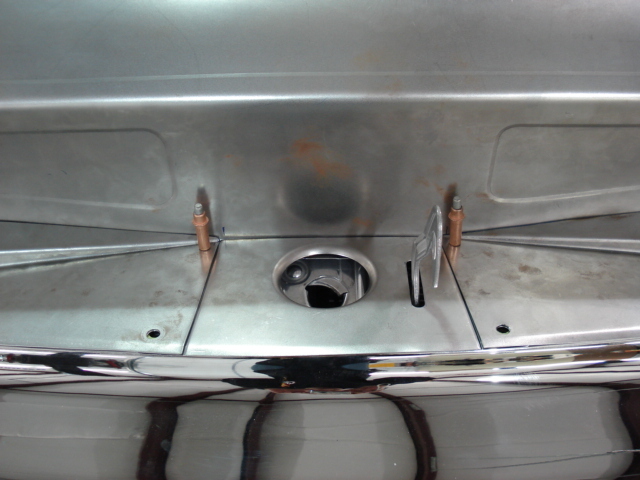 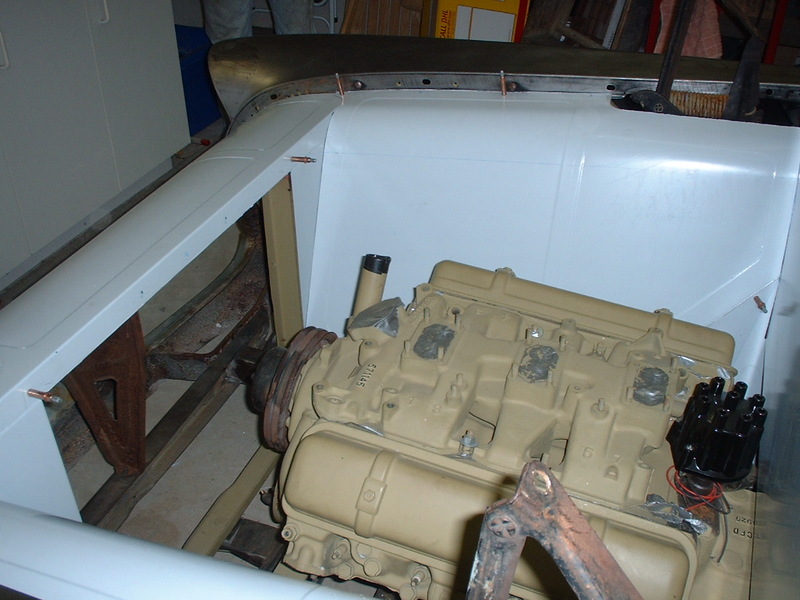 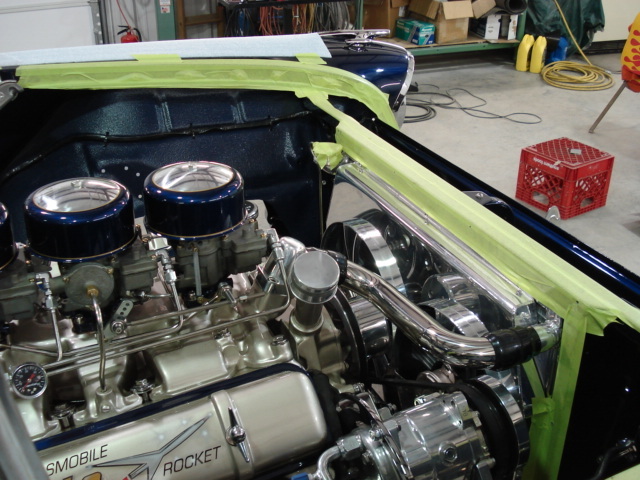 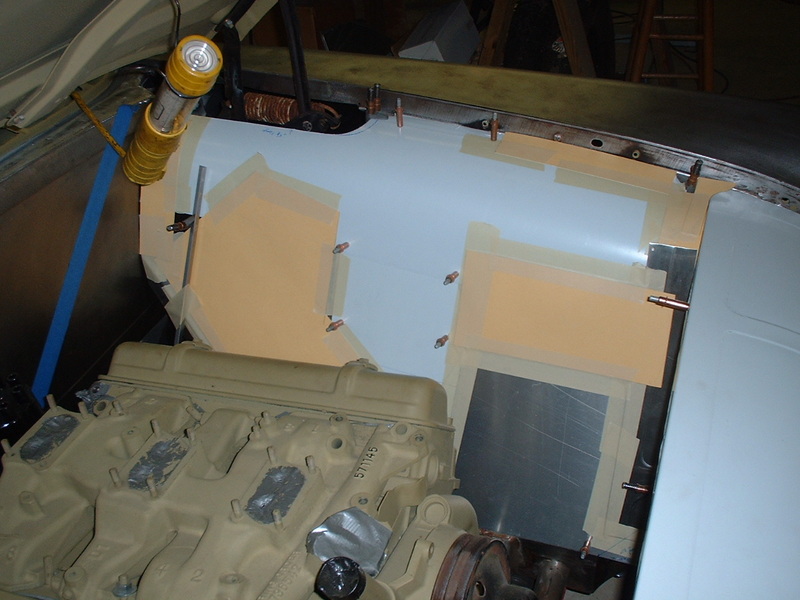 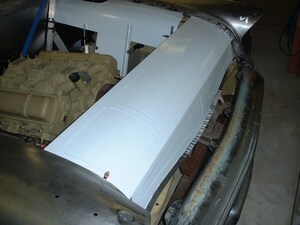 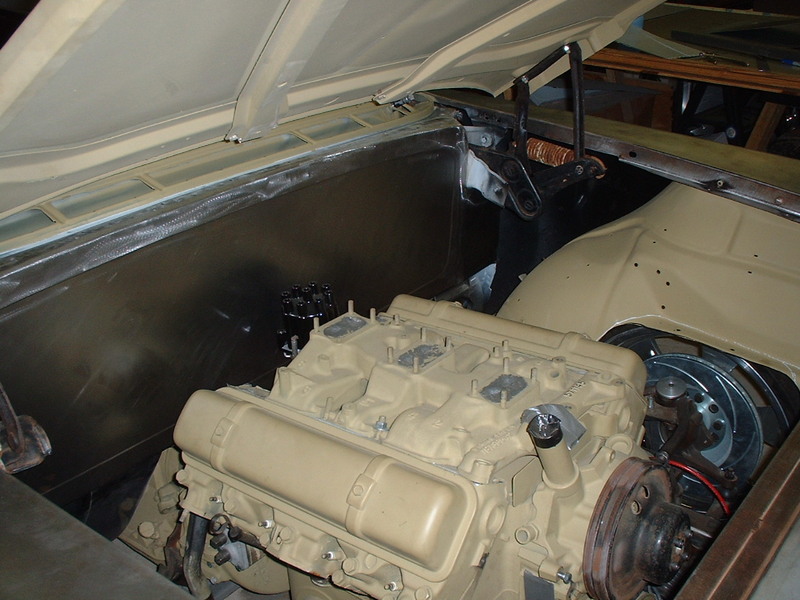 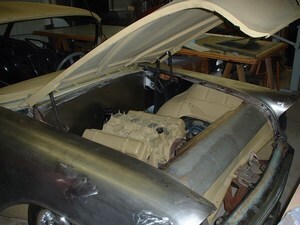 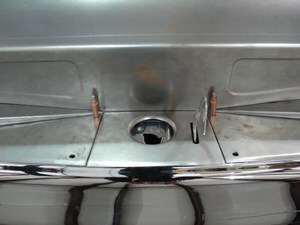 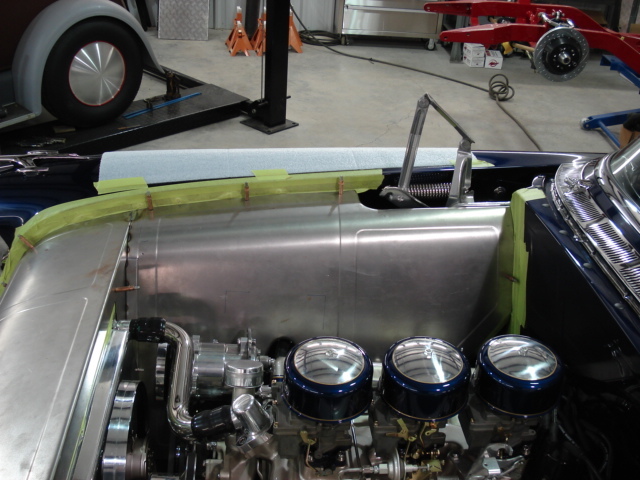 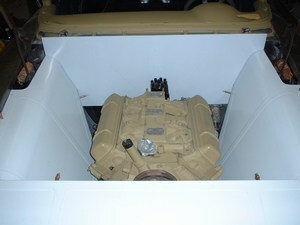 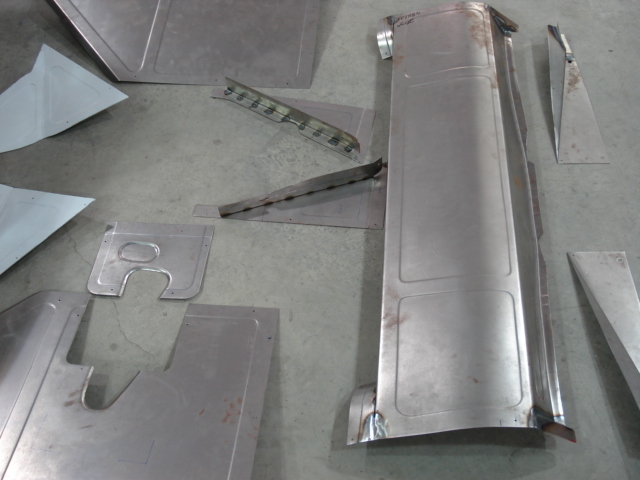 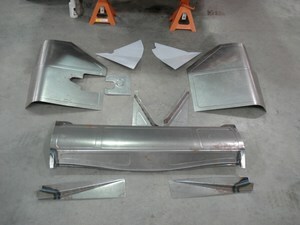 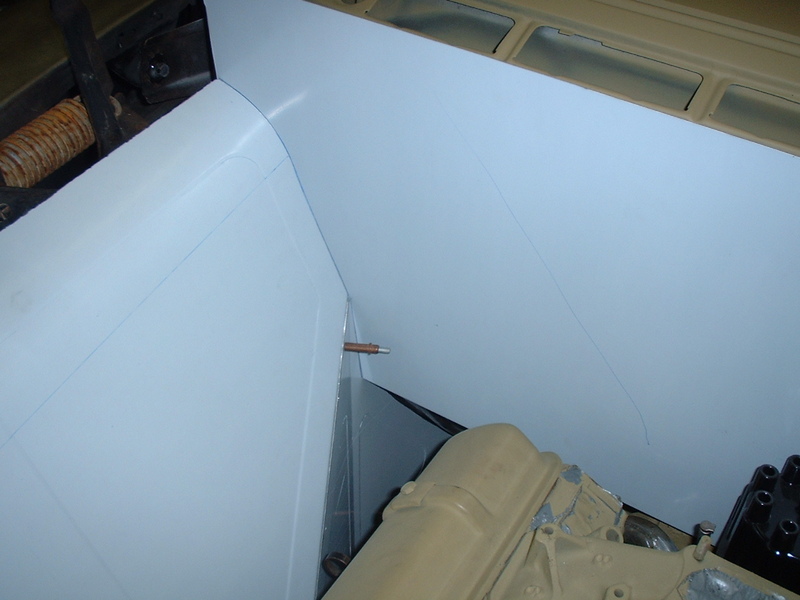 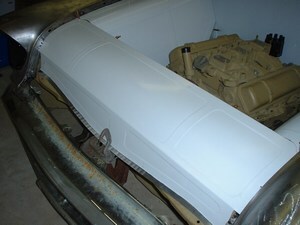 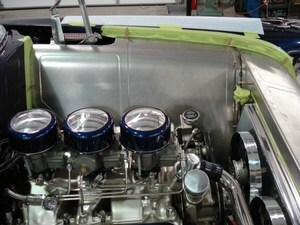 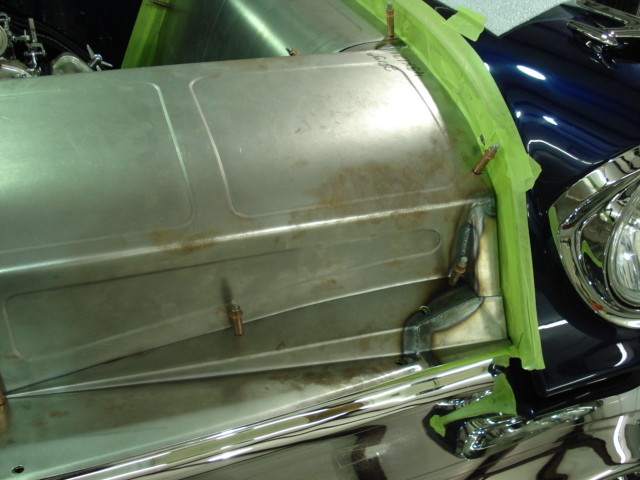 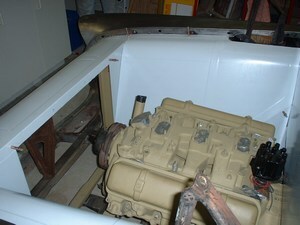 Darrell and Tim had me do the engine compartment sheetmetal. Interior is by Paul Atkins. 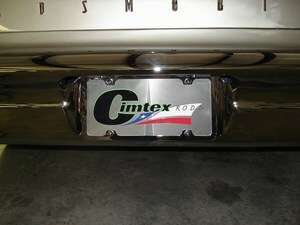 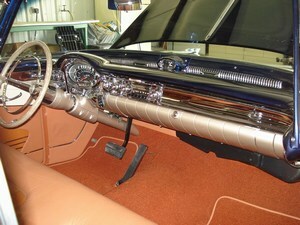 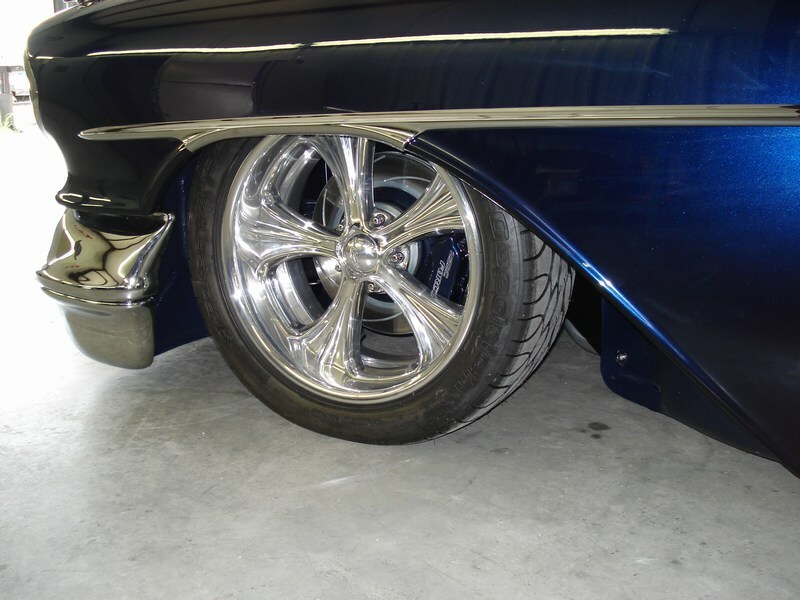 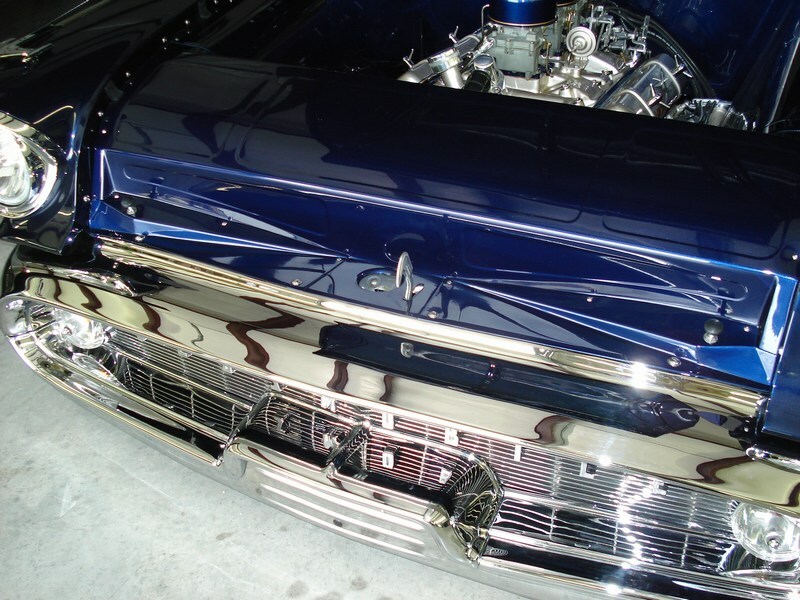 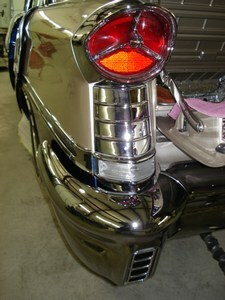 Miles of chrome is by John Wright's CustomChrome Plating. 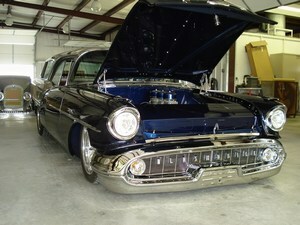 My pictures certainly do not do this car justice. 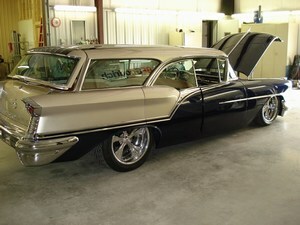 If you get a chance to see it in person, do it. 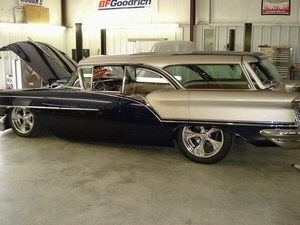 Bruce's next scheduled events for this car are the 2007 Americruise, Goodguys Des Moines July 6-8, and Goodguys Columbus July 13-15.